The United States has ranked 12th in the world in economic freedom, according to an annual report compiled by the Heritage Foundation. The country remained out of the top 10, despite small improvements to its score. The Heritage Foundation, a conservative think-tank, uses four categories to rank countries in its Economic Freedom Index – rule of law, limited government, regulatory efficiency, and open markets. The United States finally halted its five-year slide in the rankings by rising 0.7 points, retaining its No. 12 ranking among the world’s economies. 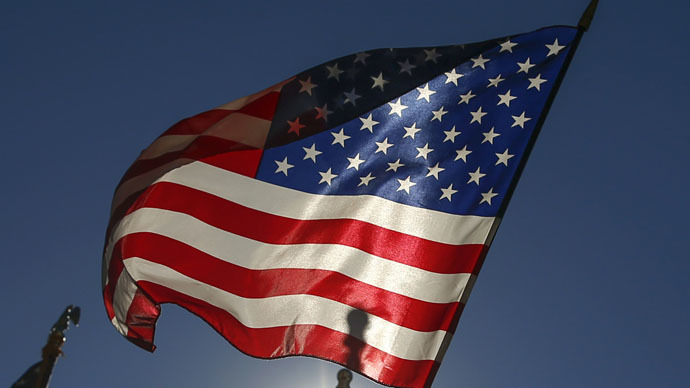 According to the report, the US improved its scoring in categories such as freedom from corruption, government spending, fiscal freedom, labor freedom, monetary freedom, and trade freedom. “The United States recorded modest gains in six of the 10 Index-measured freedoms, including control of government spending. But its tax and regulatory burdens have increased substantially, and it still has much work to do (in the area of business freedom, for example, which worsened last year) before it can regain a spot among the world’s 10 freest economies,” said the report. Rep. Paul Ryan (R-Wis.) spoke at the Heritage Foundation on Tuesday, unveiling the index. He said the improved score in government spending was due to Republicans’ influence in Congress. “The fact that our country received an uptick in our rating this year, and one of the reasons why we would see this uptick is because since we took over the House in 2011, we started cutting spending,” Ryan said. The report also noted that when President Barack Obama took office in 2009, the United States ranked sixth in economic freedom, falling to 12th place over the course of his presidency. The report suggests that White House domestic policies are to blame, though it makes scant mention of the 2008 economic crisis that led to the great recession and the loss of 10 million full-time jobs. Leading the chart this year are Hong Kong, Singapore, and New Zealand. Hong Kong’s overall rating declined by 0.5 points over a “higher level of perceived corruption,” which trumped improvements in other categories. Last year, Hong Kong was the focus of a mass civilian protest against voting restrictions after Beijing announced it would vet candidates for the office of chief executive.